Tsakane school break-in an inside job, says community - SABC News - Breaking news, special reports, world, business, sport coverage of all South African current events. Africa's news leader. A large group of outraged community members has gathered outside the school to voice its frustration. The community of Langaville in Tsakane, east of Gauteng, says it suspects that the criminals who broke into the Menzi Primary School obtained information on security measures from an employee of the school. The state of the art school was robbed on Monday night, just a week after Gauteng Education MEC Panyaza Lesufi opened the facility. Items stolen included 185 tablets, eight teachers’ laptops, two projectors and three desktop computers. A plasma TV and R500 in petty cash were also taken. A large group of outraged community members has gathered outside the school to voice its frustration. 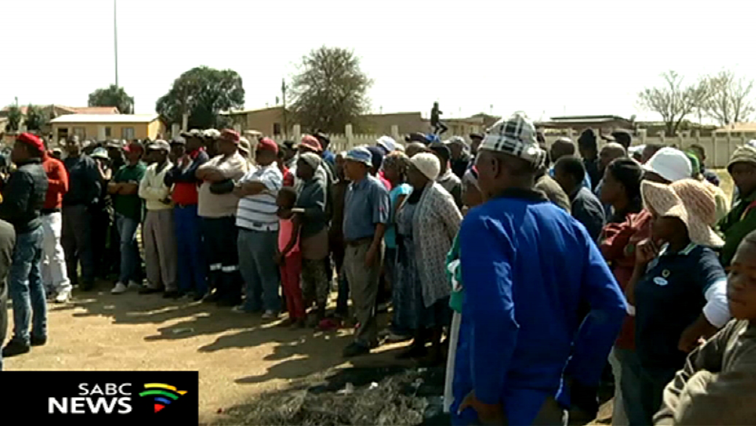 Community leader Mxolisi Zihle says they believe the break-in was an inside job. “The community know who is doing this because the security here in the school, no one can know if somebody comes from outside. They can’t know what the security is carrying here and how can they go inside the school without the person who knows everything about this school. The people who came here in the school know what’s happening in the school,” says Zihle. This entry was posted on 16 Jan 2019,10:55AM at 10:55 AM and is filed under South Africa. You can follow any responses to this entry through the RSS 2.0 feed. Both comments and pings are currently closed.